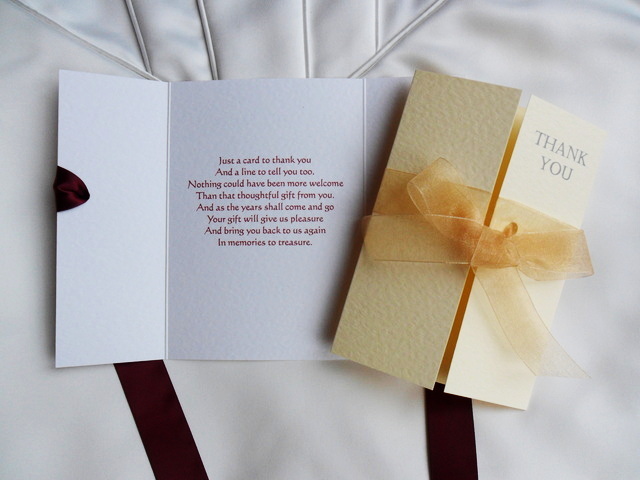 Luxurious Gatefold Thank You Cards are available for all special occasions when you want to send a personalised thank you. 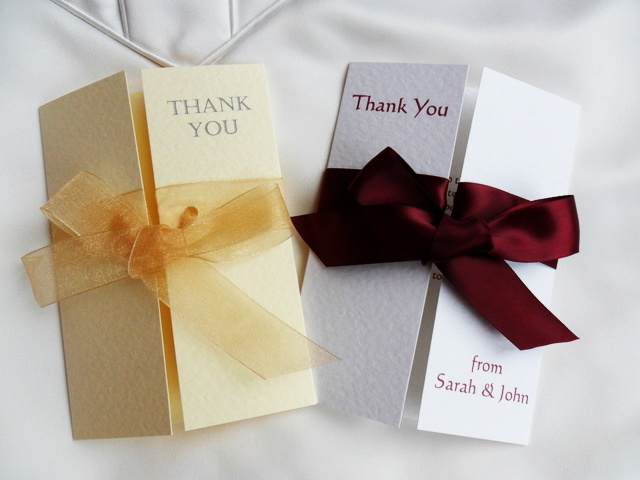 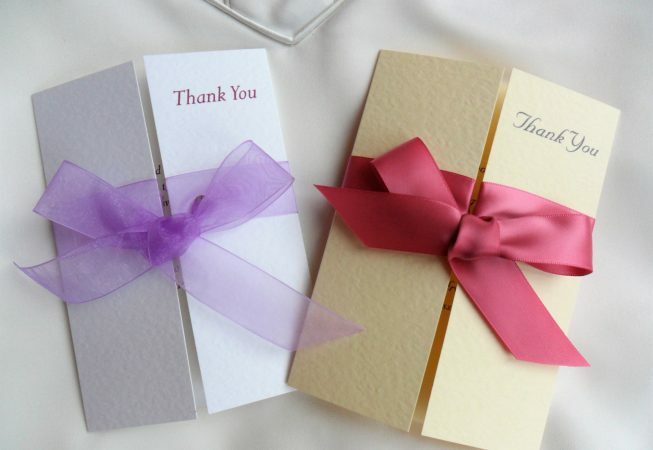 Thank You Cards are printed on a thick heavy weight (270gsm) hammered card and are available in either white or ivory. 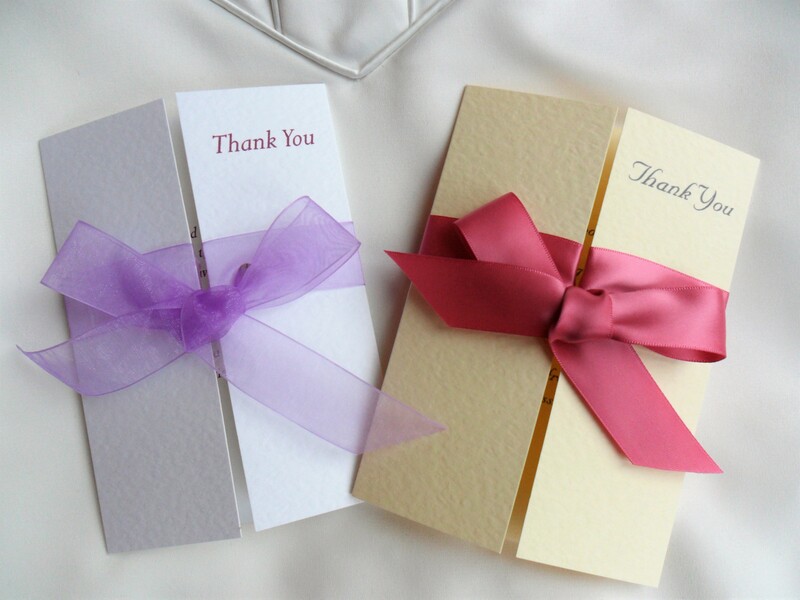 We provide free matching hammered envelopes with all our thank you cards. 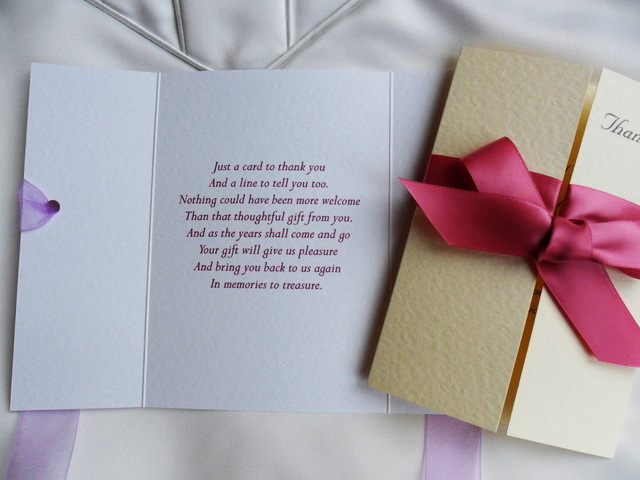 Guest name printing if required.